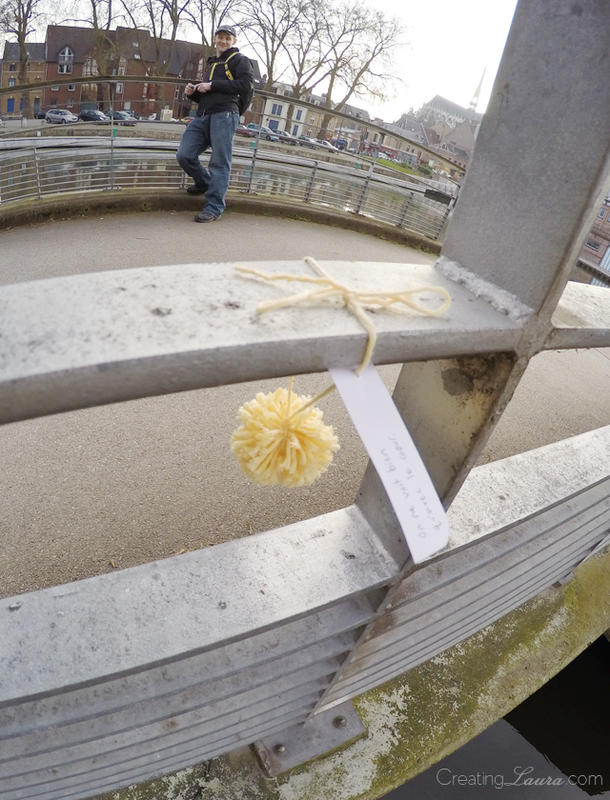 I left a second pom pom in Amiens, France. 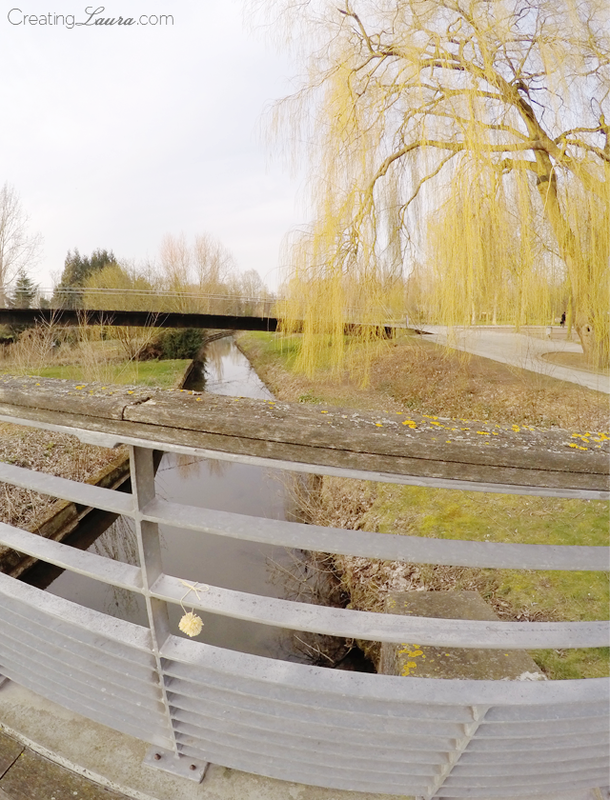 It's on a little bridge in the middle of a beautiful park with a canal and weeping willows and joggers everywhere. This was the first town we visited after leaving Paris, and this park setting was especially peaceful after the hustle and bustle of the big city. I made this pom pom out of cotton yarn, and while I think the sunshine-yellow color looks fabulous in nature, I learned that cotton yarn doesn't make the best pom poms. This one is definitely not as full and fluffy as the pom pom I made out of acrylic yarn in Paris. Just like last time, I attached a note to the pom pom with my pom pom project hashtag on it (#PomPomsAroundTheWorld) and I'm going to be so excited if a picture of it ever surfaces on Instagram! On the other side of the note, I wrote the same quote as last time because I'm still reading The Little Prince in French. I am also intending to read The Stranger by Albert Camus in French while I'm still here in France, but The Little Prince is taking me longer than anticipated, so I'm not sure if reading that second book is going to happen. Speaking of that, I'm always on the hunt for new books to read. Have you read anything good lately? I guess that's all for now. Au revoir!